In sales marketing management—as in life—there are individuals who possess extroverted as well as introverted personalities. Ultimately, both introverts and extroverts can do well in sales marketing careers, but it’s undeniable that those who are more naturally withdrawn will usually struggle with certain aspects of their responsibilities. Don’t be dismayed, though, if you aren’t intrinsically outgoing. If you really want to achieve success in the sales marketing field, it’s not impossible regardless of your dominant personality type. Remember, too, that there are multiple facets to every professional’s personality; truly, most people have moments of both extroversion and introversion, although most persons will gravitate toward being an extrovert or an introvert. To assist you in becoming stronger as a sales management leader and performer, we’ll examine three major attributes held by sales marketing professionals. From that point, we’ll look at how both extroverts and introverts can make the most of their strengths and work on their weaknesses in those arenas. 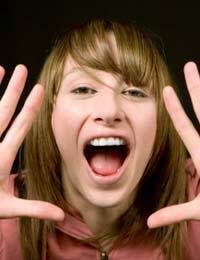 The extrovert typically has no problem with telling others what to do or how they should complete the task. He or she often is very visible in the workplace thanks to a gregarious personality. However, many extroverts have difficulty listening; after all, they are too busy talking! For this reason, their extroversion must be tempered by a conscientious effort not to become overbearing. The introvert may not be the most vocal manager and therefore may have difficulty disciplining others. For him or her, confrontation is too painful and unnatural. Despite this, he or she can become an excellent supervisor, as the introverted woman or man tends to willingly listen to all sides of an issue before coming to a conclusion. Extroverts are often known as “born salespeople”. Their communications skills have “wowed” others since they were children, and they seem to be able to get their proverbial “foot in the door” even with tough customer prospects. The flip side of this intense personality, though, is that extroverts can be perceived by some clients as acting too “pushy” or “invasive.” Thus, extroverts may find their sales numbers strong at first but waning over time. Introverts may not possess the outgoing nature that extroverts do, but that doesn’t mean their sales numbers cannot be spectacular. After all, they have the ability to sell to other introverts who may be intimidated by stronger personalities (i.e., extroverts.) Depending upon their chosen sales marketing management field, introverts can actually do better overall than their extroverted counterparts given their ability to connect with other persons with “milder” temperaments. There’s no doubt about it – extroverts innately understand and practice self-promotion. Their self-promotion allows them to confidently move up the corporate ladder or clinch interviews with seeming ease. But there’s a downside to their tendency to talk about their achievements and accomplishments (the small as well as the truly impressive): they can be seen as boorish. Thus, an extrovert needs to tone down self-promotion upon occasion or temper it with humility. Most of the time, introverts feel that their work should speak for itself. They are uncomfortable telling others about their triumphs. Thus, if a sales person has a great quarter or lands a phenomenal sale, he or she may be reluctant to ask for a raise or promotion, assuming that management will “notice”. Though introverted persons’ humble attitudes can be refreshing in some ways, they can also be detrimental if the introvert intends to position him- or herself as a sales marketing manager. Whether you call yourself an extrovert or introvert, it’s critical that you train yourself to stretch your personal boundaries if you’re to excel in sales marketing management. For the extrovert, this might mean toning down a boisterous personality; for the introvert, it could mean learning how to influence others. That’s the way strong sales marketing managers are born. The Difference Between "Sales" and "Marketing"
Learning Sales & Marketing Management "Jargon"